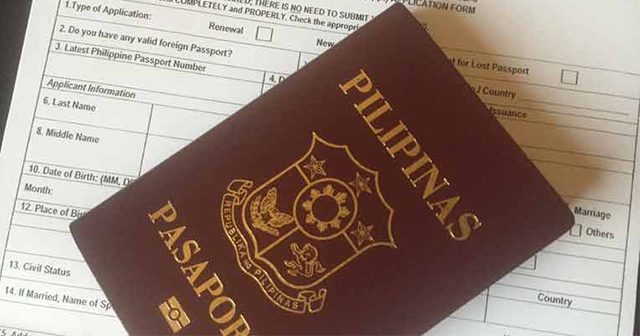 The authorities of the Department of Foreign Affairs (DFA) just recently confirmed that all the Filipino overseas workers, persons with disability and senior citizens wouldn't have to set any date of appointments regarding their applications of their passport. The DFA assistant secretary of the Office of Consular Affairs, Frank Cimafranca, just clarified that OFWs wouldn't have any altercating problems regarding on their appointments which he had stated on Wednesday morning. Cimafranca stated that the applicants must go to the nearest DFA Aseana or regional consular satellite offices and bring the necessary documents in their passport request. They could set their applications as a walk-in on their priority lane as long as they are considered applicants. Cimafranca said in his statement: "They can just come to any of our office, walk-in and apply." The official website of the Department of Foreign Affairs had also promoted to the applicant this notification. Cimafranca stated in his interview that they only seek the efficiency of the applicants who want to travel abroad and aim to have a fast transaction for their passport. "We are also trying to accommodate them by creating a portal. A recruitment agency can use this portal. They will have to go through a special portal para mabilis sila," Cimafranca reiterated. This newest reform to their application would start within this week, but a lot of people expressed their dismay regarding their appointment on the DFA through their website. They stated in their posts that they couldn't avail their appointment within the following three months. They also expressed their remorse along the fixers and travel agencies of its delay. "We can hardly cope with the demand for passports, that's why we are trying to address this by trying to increase our capacity," he added. DFA Secretary Alan Peter Cayetano stated an announcement regarding the issue on Friday that they are currently resolving the problem regarding their fully-booked appointment system online. An estimation of 12,000 to 15,000 passport applications has daily processed daily by the DFA. The Department of Foreign Affairs processes 12,000 to 15,000 passport applications daily. "We have only an ideal number that we can process daily," Cimafranca explained. Based on the press release by the DFA, they had removed the fixed appointment slots for the renewal of the passport application and passport renewal for the clients of the travel agencies. It had been reinstated for the regular applicants by the DFA on August 1, 2017. What are your thoughts about this notification made by the DFA? Share it with this article.